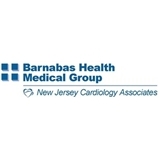 BHMG - New Jersey Cardiology Associates (West Orange) - Book Appointment Online! Marc Fisk is very compassionate and make you feel very comfortable with asking him questions . I'm so happy I came across marc Fisk online. I liked Dr. Rubenstein's approach to reviewing my test results, discussing options with me, and asking probing questions. I changed Cardiologists to Dr. Rubenstein, and I am glad I did. It was professionally done and to my satisfaction. Doctor Hawthorne was pleased with my progress and we were pleased with his comments.